Fascination Technology. High-Tech in the BMW 7series. A world first concept goes into production in the middle of July 2001: The ZF 6-speed automatic transmission for passenger vehicles, which has gone from the development to the production stage in just under 4 years, will set standards in drive technology. The new product offers more than just fundamentally better performance than standard 5-speed automatic transmissions; it is also lighter, more compact and significally more economical to drive. This apparent “squaring of the circle” was made possible by ZF engineers by developing a new transmission concept based on the Lepelletier-gear train and achieving improvements in the production process as well as in the Mechatronik, the transmissions electronic control system. The new product comes into service first in the new BMW 7 series. Fig. 1: More performance, less weight: with the new 6-speed automatic transmission 6HP26, a whole new generation of transmissions is coming onto the market which will also positively influence how we drive. In tests simulating normal driving conditions, the „6HP26“, the internal ZF name for the new production model, used between 5 and 7% less fuel – and this at higher driving performance levels: Accelerating from 0 to 100 km/h, the 6-speed automatic transmission is achieving improvements of between 2 and 5%. Other than by reason of the sixth gear, the lower fuel consumption is made possible by a low viscosity oil developed at ZF, Stand-by-Control (SBC) and other detailed measures. Fig. 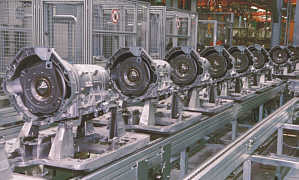 2:orld-first in production: ZF’s new 6-speed automatic transmission has been on the production line in the production halls of ZF Getriebe GmbH, Saarbrücken, since the middle of July. 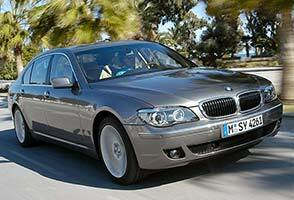 The customer is BMW, whose new 7 series is driven by the ZF 6HP26. The new transmission is designed for an input torque of 600 Newton meters, in other words for high performance cars with 8 to 12 cylinders. The overall gear ratio was selected to achieve comparatively low revolutions in the “long” 6th gear ratio, and also at high speeds. Noise build-up and fuel consumption are favourable compared to a 5-speed automatic transmission. At the heart of the ZF 6-speed automatic transmission is a new gear train concept based on the Lepelletier-gear train. 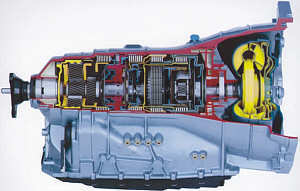 With this new concept, the six gears can be realized with significantly fewer components: For the current 5-speed automatic transmissions, 3 gear trains and six clutch elements were needed; for the six gears, one simple and one Ravigneaux-gear train, in combination with five clutch elements suffice. The result is a significant weight reduction of about 11 kilos in total. The use of plastic also reduces weight: The oil pan and base body of the Mechatronik are no longer made of metal; in addition, the 6-speed automatic transmission has absolutely no freewheeling features. Their functions are carried out by a substantially improved electronic control system. The Mechatronik module is high tech, with a combination of a hydraulic selector unit and electronic components controlling the new 6-speed automatic transmission. The fine tuning of all shifting processes in the transmission is made more precise by the Mechatronik. For the driver of a vehicle with the 6-speed automatic transmission, this means optimal shift quality and increased driver comfort. The shifting electronics not only give signals to the driver, but also receives information about the current driving situation: in this way, it is able to recognize and react to (for example with optimal shift timing) the condition of the transmission, drag resistance (e.g. weight and slope) and driver behaviour. In this way, it caters for many variations, ranging from very sporty to very economical driving styles. Fig. 3: From concept to production: ZF has brought the new 6-speed automatic transmission 6HP26 to the production stage in just under four years. A further new feature for automatic transmissions is made possible by the 6HP26’s electronic control system; the “Stand-by-Control” (SBC). The electronics control the input clutch in the transmission such that the engine is disconnected from the driveline when the vehicle is stationary, even when in gear. The beginning of the 6HP26 series production for upper range cars is only the start. In the medium-term, ZF will offer a complete 6-speed range which will be appropriate for middle-range car engines as well as 4 wheel drive vehicles. ZF Friedrichshafen AG is an internationally active automotive industry supplier specializing in driveline and chassis systems. The company operates 119 plants located in 25 countries and has nearly 53,300 employees including around 20,000 working at foreign locations. Founded in 1915, the company originally concentrated on developing and manufacturing transmissions for airships and motor vehicles. Today, the range of ZF products includes transmissions, steering systems, and chassis components along with complete axle systems and modules. The core products manufactured by ZF place the company among the industry's top three suppliers. Key ZF shareholders include the Zeppelin Foundation, which is administered by the city of Friedrichshafen. ZF revenues in 2002 totaled EUR 9.2 billion. This places ZF in the number three position among German automotive industry suppliers. Worldwide, ZF ranks as the fifteenth largest supplier. The ZF Group is divided into five product-oriented divisions: Car Driveline Technology in Saarbrücken, Car Chassis Technology in Lemförde, Commercial Vehicle and Special Driveline Technology in Friedrichshafen, Off-Road Driveline Technology and Axle Systems in Passau, and Powertrain and Chassis Components in Schweinfurt. The company also operates two independent business units: Aircraft Propulsion Technology and Marine Propulsion Systems. In 1999, ZF Friedrichshafen AG and Robert Bosch GmbH formed the company ZF Lenksysteme GmbH, which specializes in steering technology. One-third of ZF revenues are based on products that have been in series production for less than five years. These products include ZF-AS Tronic, an automatic transmission system designed for heavy trucks, and the world's first six-speed automatic transmission designed for passenger cars. This product is currently installed in the new BMW 7-Series, Audi A8, and new Jaguar models. 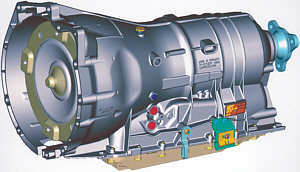 The transmission will also be used in the new Rolls Royce Phantom. In order to continue offering a full range of innovative products and remain competitive on world automotive markets, ZF invests around 5 percent of its annual revenues in research and development. Worldwide, the company has nearly 4,500 employees working in this area. ZF Friedrichshafen AG investments in property, plant, and equipment in 2002 totaled EUR 751 million. This is equivalent to around 8 percent of ZF Group revenues. Western Europe remains the company's largest, and most important, market accounting for over 65 percent of ZF Group revenues. The production of automatic transmissions in the Car Driveline Technology division and the components and systems produced by the Car Chassis Technology division were major contributors to the company's strong growth on the western European market. In addition to building up its business in Europe, ZF has placed special emphasis on strengthening its position in North America and Asia. Accounting for 25 percent of ZF Group revenues, the NAFTA region has gradually become the second-most important market for ZF. According to current plans, 30 percent of ZF revenues in 2005 will be generated in North America. The long-term ZF objective is to increase average annual sales figures by 10 percent. In Asia, ZF is aiming at a 20-percent increase in sales. The primary goal for ZF Friedrichshafen AG is to secure a competitive edge for its core business on a global scale. Along with technological leadership and new approaches to working with car manufacturers, efficient market development plays an important role. At the same time, ZF plans to further develop operations in foreign countries to serve as a hub for "common" technologies. 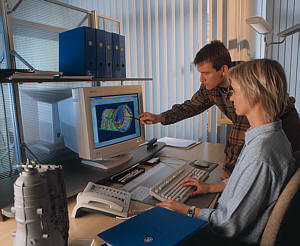 Products and systems supplied on a just-in-time basis will primarily be produced on-site by ZF. In the face of increasing price pressures in the automotive and supply industries, this move will help ZF remain competitive by taking advantage of the special strengths of the respective plant locations including, for example, lower production costs. The ZF module and system business is expected to increase proportionately in the next five to ten years from the current 30 percent to 50 percent. This will enable ZF Friedrichshafen AG to further strengthen its position as a leading supplier of driveline and chassis systems.